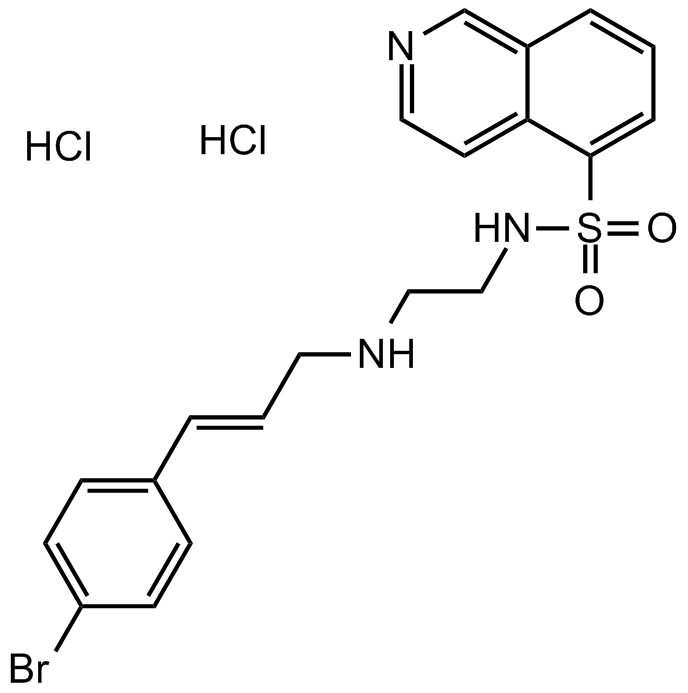 Description H 89 2HCl is a potent inhibitor of PKA with a Ki value of 48 nM. cAMP-dependent protein kinase activity is assayed in a reaction mixture containing, in a final volume of 0.2 mL, 50 mM Tris-HC1 (pH 7.0), 10 mM magnesium acetate, 2 mM EGTA, 1 μM cAMP or absence of cAMP, 3.3-20 μM [γ-32P]ATP (4 × 105 cpm), 0.5 μg of the enzyme, 100 μg of histone H2B, and each compound, as indicated. 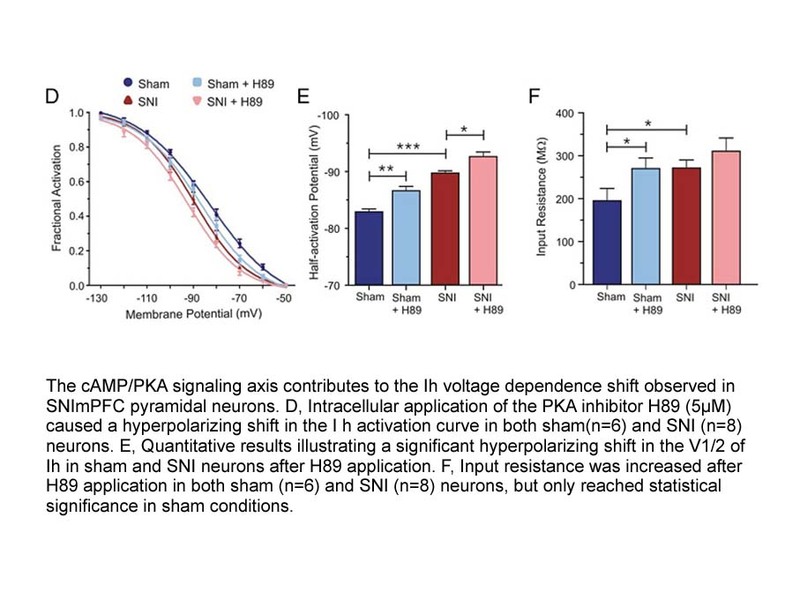 H-89 (30 μM) significantly inhibited cAMP-dependent histone IIh phosphorylation activity and suppressed Forskolin-induced neurite outgrowth in PC12D cells. H89 caused distinct modifications of protein phosphorylation, with the most robust changes in phosphorylation were heterogeneous nuclear ribonucleoprotein (hnRNP), fructose-1,6-biphosphatase, NSFL1 cofactor p47, all which had potentially regulatory connections to cAMP/PKA. H 89 2HCl is a potent PKA inhibitor. In a cell-free assay, the Ki of H 89 is 48 nM, 10-fold selective for PKA than PKG and 500-fold greater selectivity than PKC, MLCK, calmodulin kinase II and casein kinase I/II . In vitro:In PC12D cells, pretreatment with H-89 dose-dependently inhibited the forskolin-induced protein phosphorylation, with no influence in intracellular cyclic AMP levels. In PC12D cells, H-89 significantly inhibited the forskolin-induced neurite outgrowth. In PC12D cells, pretreatment with H-89 (30 μM) strikingly inhibited cAMP-dependent histone IIb phosphorylation activity in cell lysates while showed no effects on other protein phosphorylation activity such as cGMP-dependent histone IIb phosphorylation activity . H 89 was a potent and selective PKA inhibitor with Ki of 48 nM in a cell-free assay . 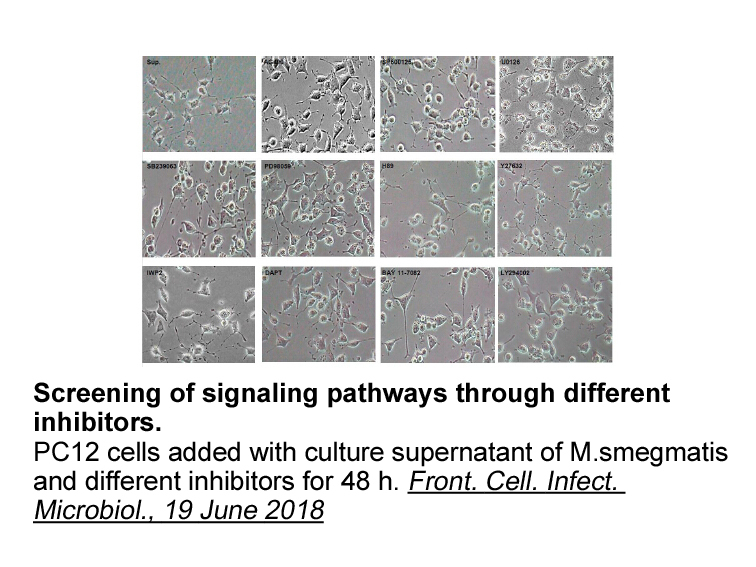 H89 also inhibited S6K1, MSK1, PKA, ROCKII, PKBα and MAPKAP-K1b kinases with IC50 of 80, 120, 135, 270, 2600 and 2800 nM, respectively . In the hypotonic medium, 50 μM H89, a concentration commonly used to inhibit PKA, prevented the redistribution response. In normal medium, H89 (50 Μm) induced the redistribution of ERGIC 53 to the ER by 20 min .
. Chijiwa T, Mishima A, Hagiwara M, et al. Inhibition of forskolin-induced neurite outgrowth and protein phosphorylation by a newly synthesized selective inhibitor of cyclic AMP-dependent protein kinase, N-[2-(p-bromocinnamylamino) ethyl]-5-isoquinolinesulfonamide (H-89), of PC12D pheochromocytoma cells[J]. Journal of Biological Chemistry, 1990, 265(9): 5267-5272.
. Lochner A, Moolman J A. The many faces of H89: a review[J]. Cardiovascular drug reviews, 2006, 24(3‐4): 261-274.